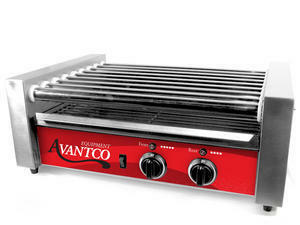 This Avantco hot dog roller grill can prepare 24 hot dogs at a time. What A great addition to any party! Just put the hot dogs on the grill and let the grill do the work while you enjoy the party. Keeps them warm until you are ready for seconds! Supplies not included. Available at discounted rates when rented with one of our bounce, combo, or wet units!